Computers are now essential for work and play. We no longer can envision our lives without them. Computers have improved our efficiency and allows instant communication but at the same time has caused concern with privacy and security. 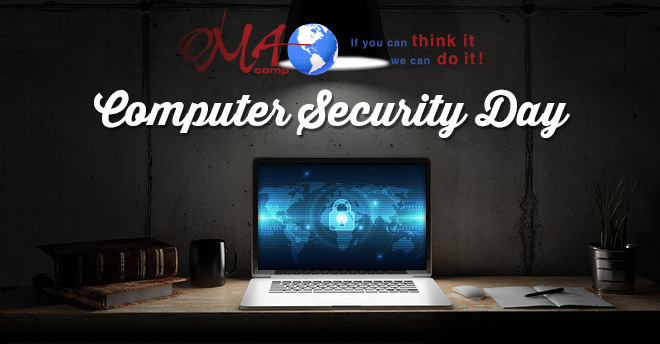 Computer Security Day is a reminder to make sure that your systems are all checked and updated with the most advanced security options available so your business can run smoothly with reduced risk of security threats. If you need an audit, updates, or a seminar to teach your employees best practices to keep your data safe and secure, contact OMA Comp today.